This past weekend the epic THP Event called The Gauntlet was held and it was truly one for the ages. 18 THPers, 6 members of the Callaway Golf Zoo Crew and 3 amazing courses at Palmetto Dunes in Hilton Head Island, South Carolina. 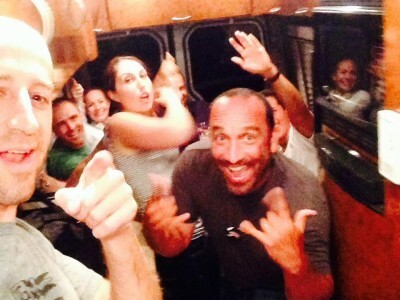 During this event, the first ever THP Tour Van selfie took place with members of the Zoo Crew and THP thinks this perfect photo needs a caption. Entering is as easy as clicking the link to the THP Forum and entering the contest in the specified thread.